I doubt if this will ever be seen as great literature. “You're saying there is an actual, honest to God ghost in this hotel?” Jonathan, our new General Manager asked. Asked with a touch of suspicion, as if we were having him on for an initiation rite. “So what are you doing about tonight? I mean, for the convention.” Johnathan continued. I radioed Max the maintenance guy and he came with a cart that held the player, the flat screen and a jewel case with Richard Prior. We took the elevator to the lower level parking garage and Max opened the boiler room door with his key. We turned on the lights to get positioned, and then cut them again. The only light in the room was from the boiler flame through a tiny hole. A quizzical noise emitted from the boiler. A person not familiar with the situation would not have noticed it. Hollow laughter rang from the boiler. Another quizzical noise from the boiler. The boiler flame seemed to make an “uh huh” noise. Max pulled over a small table and set up the the CD player and flat screen. We turned it on and left. The evening passed without incident. It was August and the summer season was over, and the winter season would not arrive until mid November. During these periods, the owners would rent to whomever had a buck and could fill up a bunch of rooms. And, preferably, throw a banquet. And maybe rent a couple of convention rooms during the day to boot. And every year, with a buck in hand, arrived the infamous Sigma Alpha Tau fraternity. The worst of the breed. Drunken, snotty rich kids who would threaten to tell their dads on you for anything they didn't like. We had to take a substantial damage deposit from them and we usually kept most of it. Security from the resort stood at each entrance to their annual ball to block entry to those too inebriated for civil society. Amazingly, they managed to splash all of the water out of our two jacuzzis during the daytime hours. But their real specialty, however, was barfing in drawers. After their stay, each drawer in every room and condo that had been occupied had to be checked and, if necessary, taken to the back of the property and hosed out. There was even one heroic incident of barf on the ceiling, but thankfully this was and isolated incident. We had been planning to refuse to host their event for years, but each year the alternative had been to sit empty, and the owners would not stand for that. The big Friday morning arrived and they checked in. By 4:00 PM both Jacuzzis were half empty, the “No Glass Allowed” area of the pool deck was carpeted with glass beer bottles and what wasn't covered with beer bottles was covered with bathing suits, discarded shirts, sunglasses, lotion bottles and just about anything else one might bring to the pool area. By 5:00 PM, the group's dates were in the rooms and condos prepping for the night's annual banquet. The male members were in the lobby drunkenly singing a song about female genitalia that snapped shut like a clam. The banquet itself was a drunken affair, but the known presence of security prevented food fights and such behavior. And so it went for two more days. I had made no effort to placate the ghost that weekend feeling that his antics would not be noticed. What fun is there in putting a turd in the punch bowl when one of the guests has already beat you to it? “Who is Otto?” I asked. The cooler gave an affirmative rattle. The two representatives from the fraternity nodded in agreement. And with this, the hotel ghost was carried out the front doors and loaded into the back of a new, but well dented up SUV. Ha! A pretty novel ghost story, MissFedelm! Brought a couple of chuckles. This was pretty awesome. I was picturing Bill Murray the whole time I was reading. Thank you. 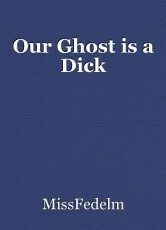 Someone wanted me to write a scary ghost story, but once I started it just went it's own way. Legend of the last man standing.